We are quickly moving to the end of summer, and as we do, people who suffer with allergies are getting ready. Millions of dollars are spent each year to help those who have these respiratory issues but most over look one of the simplest ways to help. Install a powerful filtering system and all the things that float in the air causing your allergy symptoms can be reduced. Don’t be fooled by the $15, 1” filters you find at home centers, but instead choose a media filter. This type of filter is permanently added to the duct work of your system and you only have to change the filter material once or twice a year. The difference in air quality that one of these filters can provide is incredible. Dirt, pollen, mold spores, dander and all other solid particles floating in the air can be either reduced or completely removed from the air in your home. The health benefits are considerable and the allergy relief is quite noticeable, simply give your favorite HVAC company a call to find out how you and your family can receive allergy relief this fall. With the arrival of spring, many homeowners are finding that their allergy symptoms have also made an appearance. Instead of suffering all season long, many of these people are deciding to upgrade their indoor air quality products in hopes that they will be able to remove many of their allergy irritants from the air within the home. High powered air cleaners or MERV 16 air filters are a great asset for any home, but are you getting the most out of your indoor air quality improvement products? If you aren’t running the circulating fan around the clock, then you are missing out on cleaner air and possibly better allergy relief. Air cleaners and filters that use the furnace’s circulation fan to clean the air can be helped along when you run the furnace fan around the clock. The only way that these filters can clean the air is when this circulating fan is running because they do not have a fan of their own. Normally the fan will shut down in between cycles, but if you go to the thermostat and turn the fan to the “on” position, it will run in between cycles as well. This will maximize that amount of air that comes in contact with the filter and therefore lead to cleaner, fresher air in the home. Without fail, every year, hundreds of homeowners call at the beginning of the cooling season because the air conditioner began to develop ice on its lines and the unit is not putting out adequate cool air. Though this problem is common throughout the season, starting the unit up for the first time often reveals damage that was either left from last season or that occurred during the condensers long winter outdoors. No matter the cause, you need to get the system back up and running before the real heat of summer arrives. Most homeowners rush to the internet for quick fixes, but there is very little a homeowner can do about a frozen air conditioner. More likely than not, you will need professional help. If well taken care of, the typical furnace should be able to last about 20 years before needing to be replaced. However, thousands of homeowners find out the hard way that they did not take the necessary steps to preserve the unit and end up investing in a new unit much sooner than they planned. Most manufacturers include a clause in their warranty that required the homeowner to have a professional clean the unit yearly. Most assume that this is some tactic used by them to make more money, but really they have your best interests at heart. They want you to get the most out of their product and that can only be done when the homeowner takes proper care of the system. How do you take proper care of a system? Well it’s easy! 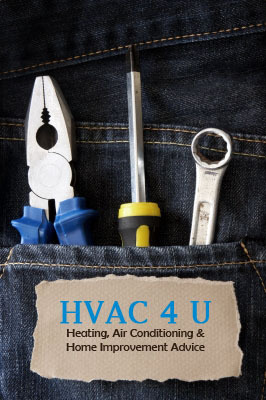 Contact your favorite HVAC contractor and schedule yearly maintenance checks! Then, change your filter regularly and get the unit fixed at the first sign of a problem! Putting off repairs or failing to change the filter when it is dirty is just as bad as not having the yearly tune up done. It may cost you a little bit every year to get this work done, but the long term benefits defiantly outweigh the cost. We have seen units fail after just 7 years when not properly cared for. You could miss out on years of reliable service and find yourself shoveling out thousands in replacement costs a mere 7 years after the installation. Put some distance between you and the cost of replacement and get your yearly maintenance taken care of now!